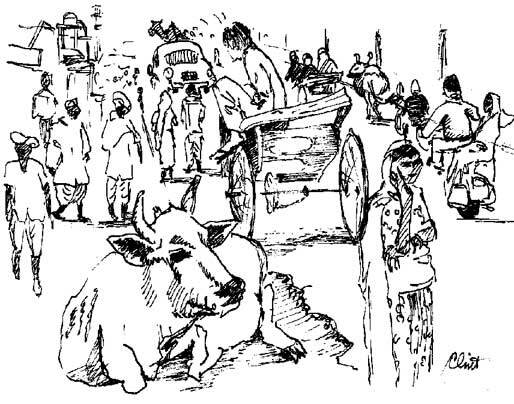 INDIA / Street Cow . . . Even on the wide streets far from the old section of Varanasi, cows are sacred to Hindus and take precedence over traffic, which consists of every conceivable type of conveyance.